She charges at Freud head-on in an affront that sidesteps the risk of cliché, instead abounding in individuality. Freud’s words slip into 35 poems that meditate on grief, lack, and despair – a meditation that, as we hear again and again, can never be answered. ‘Stranger/ Baby’ is unlike other anthologies: it does not attempt to universalise or synthesise loss, but obsessively recapitulates it, runs at it from different directions, all the while knowing that it cannot be tamed. If the collection does not ask questions – or, at least, does not expect answers – it simply screams instead. The poems are beset with the background of a female voice – a voice that we end up suspecting to be autobiographical – that ‘screams and screams without any self-control.’ In the play-poem ‘Tragedy for One Voice’, the screaming becomes the stage directions that form a perennial white noise behind the entire anthology. Berry’s images are stark and polarised, the forces of fire and water competing throughout the collection. The speaker repeatedly fashions her image as water, the sea, or the curl of a wave, as is made explicit in ‘Tidal Wave Speaks’. The motif breathes life into the oft-repeated poetic exploration of the ineffability of emotions. In Berry’s poetry, it is clear that words fail to heal – the collection attempts to use self-expression as a kind of ‘talking cure’, but the speaker is left realising that this as impossible as an attempt to take hold of the ocean. Time and again, she makes a statement, only to remake and restate: ‘That is what I did./ Laid it all out like tidal wave./ Thought you could in fact/ lay out a tidal wave.’ What emerges is her sense that the process of confronting and turning into poetry her feelings is the experience of coming face to face with an unconstrained force of innumerable power. Berry’s attempt to turn negative energy into positive through poetry is stated with the grim humour of the title, ‘Now all my poems are about death I feel as though I’m really living.’ The speaker mocks her own attempt to ‘lay it all out’ through poetry – to observe her own grief by putting it into words – by presenting a gauche image in parallel, of photographing herself in the cemetery. 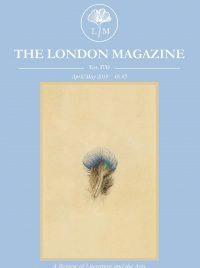 Predictably, she finds that the attempt rids her action of authenticity – ‘I pose and yet I cannot pose’ – just as an articulation of grief fails to capture its true face: ‘I wrote this down, regretted it.’ An angry undertone emerges, equating healing with self-effacement; ‘Once’ presents ‘embracing’ grief as welcoming ‘my own/ diminishment’. A desire to be healed emanates from the collection, but it is paired with the realisation that such healing relies on eroding the self. Therapy is spoken about bitterly as a faceless attempt to polish one’s feelings. Indeed, this is powerful poetry. But it is also clever, modern, and playful. Berry refuses to withhold any of her poetic artillery; she experiments with form boldly, an experiment that might fail in the hands of a weaker writer. The poems modulate between different rhythms and styles, delighting in the elasticity of poetry. Some mischievously challenge the criticism of ‘prose-like’ poetry, others are laconic in their staccato lines; one converts the speaker’s conflicting feelings into dichotomous voices in a play. Sometimes, as in ‘Song’, Berry looks to other poets for answers. Here she responds to Luna Miguel, referring to Miguel’s tattoo of a mermaid representing her mother to inhabit tentatively her own mother’s psyche, paradoxically giving herself up to death and believing that it will save her. ‘Aura’ is a poem that revels in its own form, a visible chasm between the speaker and her mother that is bridged, movingly, in one line. The destructive power of absence is quick, fierce, and brutal in these poems. Sitting in her mother’s cemetery, the speaker asks questions of her mother, breaking her own rule that only the ‘idealistic’ expect answers of their questions. She is forced to answer herself, and that lack becomes palpable when ‘Your silence reaches out from inside me and meets itself on the outside.’ The blank space left by the speaker’s mother creeps inside of her, linking the visible, external lack of a mother with the resulting emptiness inside in a destructive circle that ironically mimics the closed circle of mother and child. Berry’s second anthology, ‘Stranger, baby’ generates a high voltage; its energy feels dangerous for both writer and reader, and no one who reads it will deny the sparks that fly off it.